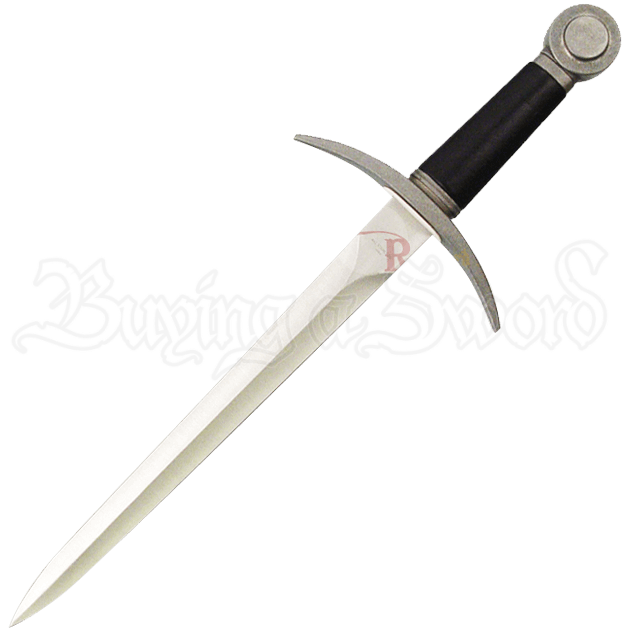 The Handmade Medieval Knights Arming Dagger is an excellent accessory knife for the chivalric reenactor or an addition to a medieval collection. This knife features a protective guard and simple, yet effective medieval design. A ridge runs down the center of the stainless steel blade, which features a false edge and a sharp point. The steel guard displays a curve toward the blade. Leather-wrapped wood makes up the handle of this dagger, and the pommel is a traditional disc shape. Included with this dagger is a wooden scabbard with a steel drag and throat. This dagger looks fantastic on its own, and it is also great as an authentic looking prop for cosplay, theater and other applications, and makes a distinctive, memorable gift.